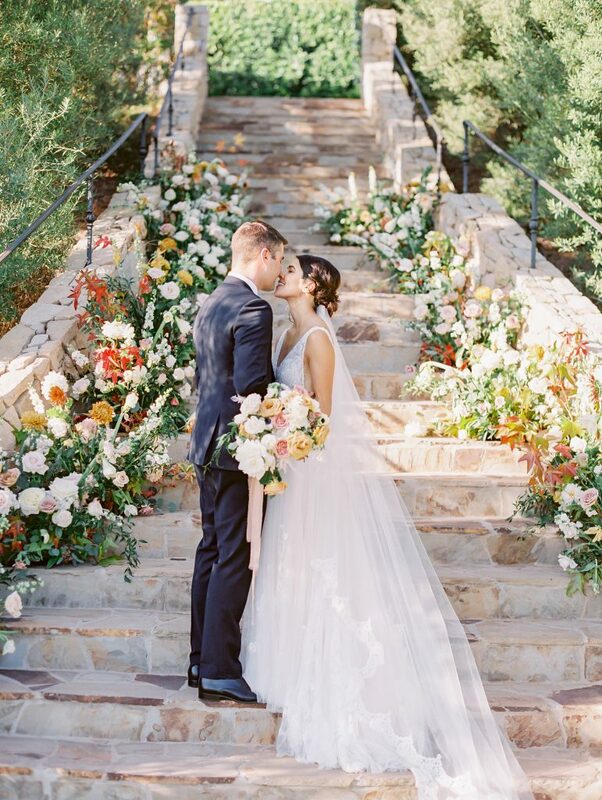 With engagement season in full swing, there are a lot of things to think about when planning a wedding. Beauty definitely being one of them. If you are engaged you are probably planning out your budget and going down the list of booking certain vendors. Wedding hair and makeup is one of the items on your list that should be planned for well enough in advance as it is a part of your budget that is reflective of your wedding day. How you look and feel with your hair and makeup on your wedding day often dictates how the rest of the day will go and you want the best quality for the experience you are looking for. So what does wedding hair and makeup really cost? Do you have hair and makeup artists available for my date? 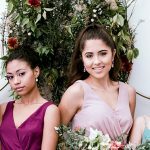 What’s pricing for wedding hair and makeup? Now for me, as a beauty concierge, quality comes first, as the experience you have will be immortalized in all of your wedding photos and I want you to have the best possible experience from start to finish and love the way you look. Each one of these is something you should keep in mind when inquiring about hair and makeup for your wedding day, as they will help you figure out what you are wanting when it comes to the experience level of the artist and the experience you are wanting overall. Location is a big factor in determining the average cost of wedding hair and makeup. A good rule of thumb is, the more popular an area or city is for weddings, the higher the average of cost. Also think of cost of living in these places as well. San Francisco is almost double the cost for bride hair and makeup that San Diego is. Why? Cost of living is almost double in San Francisco, so the artists have to adjust their pricing to reflect this. New York City is the same way regarding pricing as San Francisco is. Los Angeles can be a little pricier too, as it is home to celebrities, and there are a number of hair and makeup artists that work with affluent clients and celebrities, so they are able to charge more as they have proven their worth. Let’s compare the average range of San Diego wedding hair and makeup pricing vs. Los Angeles pricing just so you can get an idea. 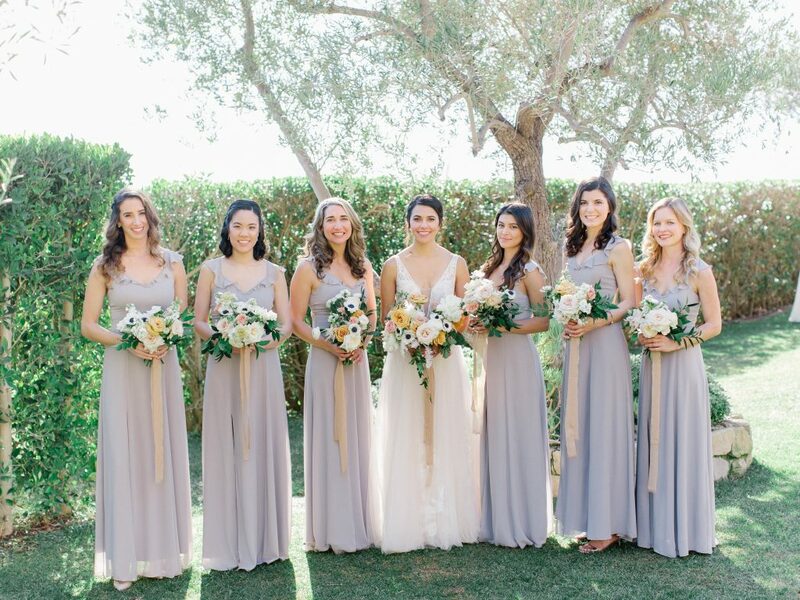 Now you might be thinking that it is still quite a large range between pricing for the bride and bridal party and the reasoning for this, now comes down to the artist’s experience level, the quality of their products, and the look you are going for. Pricing for an artist that is great at natural makeup is going to be different than pricing for an artist that is good at full coverage / glam makeup. Usually the more experience a hair and makeup artist has the higher their pricing. Another factor is how often they have been published on blogs, in publications and/or won awards. I know that everyone has a budget when it comes to the wedding day and things can get expensive, as there is a lot to go into the day, but remember that pricing is a reflection of quality. Beauty is often the category that gets a lot of push back on its pricing and to be honest, it shouldn’t. Think of it like this, you are paying your photographer a lot of money to capture the moments, your reactions, and the energy of the day. If you pinched pennies when it came to beauty, wanting to get the cheapest you could find, more than likely you don’t feel your best in photos because you didn’t get the look you wanted, as a result of not booking the artist that was going to provide you the quality experience you deserved. You are worth it. Period. Your hair and makeup is the first part of your day and it will dictate how you feel for the remainder of it. Trust me when I say that you get what you pay for and quality is worth the price. When you look back on your photos and you look radiant, and exactly how you wanted, the price won’t even be a factor. How you felt, in those moments, is what will remain for you. Whether you are getting married on the West Coast, East Coast or in between, you should have the best possible experience, that’s personalized to your needs and get the quality you deserve. If you need help at all, we’re only a call, text or email away. If you want more tips, you know what to do ?? Have a question or ready to book your event? We'd love to help any way that we can!